3243 Valley Lane, Falls Church, VA.| MLS# VAFX867578 | Northern VA Real Estate Agent Dave Martin | 703-585-4687 Residential real estate services for Home Sellers and Buyers with expert negotiation and marketing strategies and experience. 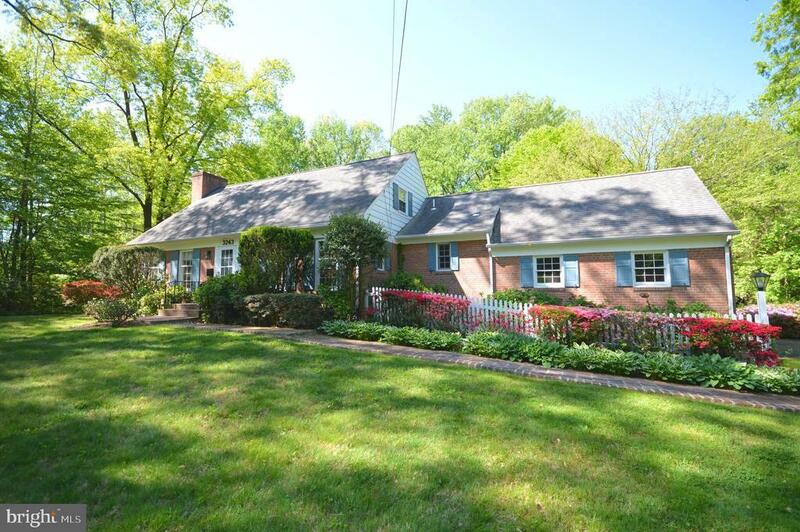 Privacy but close in location on one of the prettiest roads in Falls Church. Almost an acre of land in great location close to everything. Cape Cod has main floor bedroom with attached bath, 2 baths upstairs with shared bath, and a bedroom on lower level with attached bath. Huge living room walks out to screened in porch and kitchen walks out to another screened in porch. This home is charming and could be yours! New a/c unit, quartz countertops, backsplash. Directions: Sleepy Hollow to left on Valley to home on right.